Microsoft latest operating system, Windows 7, comes with a novel feature under which you can guide to friends and families asking for help with their computer problems. To make you able to get rid of the difficulty of guiding others about computer problems Microsoft is coming up with an excellent new solution in the Problem Steps Recorder (PSR). The beauty of this feature which is being introduced in Windows 7 is that when any application starts misbehaving under Windows 7 Security then all your friends need do is click Start, type PSR and press Enter, then click Start Record. If they work through whatever they are doing then the PSR will record every click and keypress, take screen grabs, and accommodate everything up into a single zipped MHTML file when they’re finished. After completing all this process it will be ready for emailing to you. The tool is coming with a feature having the ability to burn ISO images to CDs or DVDs. For doing this just double-click the ISO image, choose the drive with the blank disc, click Burn and watch as your disc is created. Windows 7 will be capable of mounting VHD filed created in the virtual machine hard drive of Microsoft’s Virtual PC. Windows 7 can mount these directly so you can access them in the host system. For performing it, you have to click Start, type diskmgmt.msc and press Enter, then click Action > Attach VHD and choose the file you’d like to mount. After doing all this it will appear as a virtual drive in Explorer and can be accessed, copied or written just like any other drive. In the forthcoming tool, the command line DISKPART utility has also been upgraded with tools aimed to detach a VHD file, and an EXPAND command to increase a virtual disk’s maximum size. Microsoft is much closer to making a completely secure operating system been. .
one. A program needs to be closed or minimized again and again, and on a remote session often some times we are not able to catch the whole tips and we often blunder. multiple instances as per your need. Instead of opening the program again, you can simply press the SHIFT key and left-click on the first instance in the Windows taskbar to open a second one. possible to add comments at any time if the user feels so. The whole recording will be saved as a zip file containing a slideshow of the actions. it with the delete key again. * [Windows Shift Left Arrow] or [Windows Shift Right Arrow] to move windows from one computer monitor to another. * [Windows Left Arrow] or [Windows Right Arrow] to dock windows to the left or right side. * [Windows Up Arrow] to maximize a window. * [Windows Down Arrow] to restore or minimize windows. * [Windows Home] to minimize all windows but the active one. * Shortcuts to start pinned task bar items. * Pressing [Win Number] will start a new instance of a pinned task bar item. You should also note that the items can be dragged and dropped into different positions easily. Windows PowerShell 2.0, a useful feature in Microsoft’s latest operating system, Windows 7, is a great boon to IT professionals yearning for a elevated management of computers in enterprises. PowerShell 2.0 is built on the Microsoft .Net Framework and is especially designed for system administration providing great help to IT professionals to automate the administration of Windows operating system. The command tools in Windows PowerShell, named cmdlets, allows you to manage computers in enterprise. Microsoft latest Windows 7 version also helps you to access data stores and supports Windows Management Instrumentation classes. The tool is designed to easily permit the addition of new features . Your own cmdlets, providers, functions and scripts can be added which enables you to use Windows technologies such as Active Directory Domain Services, Windows BitLocker Drive Encryption, the DHCP Server service, Group policy, etc. 1. More than 100 new cmdlets are included in Windows PowerShell. 2. Interactive session can be created with single computer and as many as computer can be run with the single command. A session can be established with it which allows you to receive remote commands from multiple computers. 3. With Windows PowerShell background jobs, you can continue to work on your session as the commands run in the background. Background jobs can be run on a local as well as on the remote computer. 4. With debugger, you can debug functions and scripts. Breakpoint can be set and removed with it and you can also check the values of the variables. 5. Modules in Windows PowerShell allows you to function as independent entity. Module package containing your cmdlets, providers, scripts, functions and other files can be distributed to the other users. 6. It supports new event infrastructure and transaction. 7. The messages and text can be displayed to users in multiple languages, with script internalization. 8. For enhanced user experience, not only help at the command line but also new online parameters are included in Get-Help cmdlet which opens updated version of each help topic. One of the several salient features of Windows 7 is Device Management, which includes device stage and the devices and printer folder making it easier for a user to work with printers, cameras, phones, and music players. The tool acts as a location for external devices that updates you with the device status information. Device Stage acts as a home page for your hardware in Windows 7. In earlier versions, you need to go to separate menus, but in Windows 7 this advanced feature will pop up all the functions of the device. The user can also have a look at everything connected to the PC with Devices and Printers folder. Now you don’t have to worry about downloading the drivers as the drivers of the new devices will be downloaded automatically. In Windows 7, default printing adjusts itself depending upon the connected network. If you are at home or work it gets aware of the location from where you are printing with Location aware printing feature. It also provides support for wireless alternatives to USB such as Ultra Wideband (UWB), Wireless USB (WUSB), Wireless Host Controller Interface (WHCI), Device Wire Adapter (DWA). Moreover, it supports devices such as ambient light sensor, GPS, temperature gauge, etc. You can also enlarge the text display when using high resolutions . The tool provides improved support for external displays. You can easily toggle between the laptop screen and an external display by simply pressing +P key. If you want to add a new device it can easily be done with Devices and printers as it also provide the place to add a new networked or wireless device and also to troubleshoot problems with it. It also provide Blue-ray Disc write support and standardizes the Display color as it helps in adjusting an LCD display to be as close as possible to the sRGB standard color space. The user can expect simpler device pairing, better security and better power savings. Making an improvement over Windows XP, Window 7 allows a user to get rid of system restarts. A reflection on Windows 7 features will tell us that if the operating system Windows 7 fails due to driver error and your system restarts, you can follow these steps to resolve the issue. Just click the "Start" button after selecting "Control Panel". After that, click "System and Security", and then "System". In the left pane, select "Advanced system settings". If the User Account Control dialog box appears, click "Yes". The "System Properties" multi-tabbed dialog box appears. Click the "Advanced" tab. Underneath "Startup and Recovery", click the "Settings" button. After that in Windows 7 the "Startup and Recovery" dialog box appears. Underneath "System failure", uncheck "Automatically restart". Click "OK" on the dialog boxes to close them. Meanwhile, in Windows 7, you can also set Process Priorities to boost your system. You will have to determine which processes should get the most attention in your Windows 7 system. If your main program or process running too slow on your Windows 7 version, you can raise the priority of it. You can open Task Manager by pressing Ctrl+Shift+Esc together on keyboard. The multi-tabbed "Windows Task Manager" should appear. Make sure the "Applications" tab is selected. If the process you need to change is linked to an application, right-click it and choose "Go to Process" from the pop-up menu that appears. Otherwise, click the "Processes tab" to find a process you need to change. Right-click a process and select "Set Priority". If you cannot find the process that needs its priority changed, click the "Show processes from all users" button. You may have to confirm your action via User Account Control. From here you can select from the following possible priorities (highest to lowest): Realtime, High, Above Normal, Below Normal, Normal, and Low. If you are sure you want to change the process priority, click the "Change priority" button when prompted. You cannot change priorities permanently, next time you reboot your computer default priority will be there. Save all open files before trying this trick. Microsoft’s Windows 7 release will be a boon for users as now they will be allowed to change the picture that appears on the Start Menu and Welcome screen in Windows 7. While using Windows 7 you must have noticed a picture that appears when you click the Start menu or access the Welcome screen. A picture represents your account. You can replace this default picture with your favorite one. You can follow these steps to perform this task. Click the Start button and then click on your account image to open the "User Accounts" Control Panel. When the "User Accounts" Control Panel opens, click "Change your picture" and then choose the one you like from the gallery and set as a default picture for your account. After that you will have to click the "Change Picture" button, and then close the "User Accounts" Control Panel. Taking up another issue, you can use setup to show the computer name on your Windows 7 taskbar. You usually check computer name manually by right-clicking on My Computer and choosing Properties. But in Windows 7 release you can display it on Taskbar. You just have to create a new folder in Document folder with the same name as your computer name. You can find your computer name by right-clicking on My Computer and choosing Properties. Right-click on an empty area in the taskbar and choose Toolbars, then click on New Toolbar. Now you want to browse to the location of the folder you just created. Choose that folder and click the Select Folder button. Thats all. Now your computer name will appear on the Windows 7 taskbar. When you update your system with Windows 7, then you need a comprehensive package because your existing antivirus will lose the compatibility. Dr. Web comes with a most efficient Anti-Virus called Dr. Web CuireIt. Its extensive scanner and virus will scan the complete system even without installation. You can get it from the website link http://www.freedrweb.com, absolutely free. You can combine this package with Windows 7 install package. First, open the website with the above link. Press the button of "Download." Save the file on your desktop. Double click on the file and run the set up. Follow the prompt and at the end accept the Agreement form. Click on "Finish" after the process is complete. You can run this program anytime, to scan your startup files and main memory. Depending upon the area you want to scan you can run this program under complete scan or custom scan. Press "Scanning" after selecting. After scanning the incurable files are moved to the quarantine directory. Microsoft introduced Windows 7 Version in reaction to statements made by the European government with respect to Internet Explorer. The EU introduced antitrust case against Microsoft to the group of IE with Windows and therefore the exploitation of dominant market position. The government claimed that "the linking of Microsoft Internet Explorer for the Windows operating system harms competition among web browsers, undermines the product innovation and ultimately reduces consumer choice." Windows 7 version E is a response to this that shows that Microsoft must comply with the law. The E version is without any type of browser and therefore welcomes the European markets with Windows without any type of Internet browser now so they can use any browser of your choice. However, the question remains: HOW? If no browser at all how is it possible to download any web browser? Microsoft has provided detailed information about installing Windows 7 E on its website. However, the instruction also includes an extra step for customers in Europe with regard to keeping the browser of choice in some external hard drive. Therefore, European customers that Windows 7 will save the web browser on a CD, DVD or USB or other storage media and install the Web browser once the Windows 7 has been completely installed. This is a genius step taken by Microsoft, as they show they are following the laws, and to be able to get more revenue by providing additional CD web browser with the operating system. John James is a professional writer with extensive work experience in the development of web services industry. The author has written several useful and informative articles on various topics related to IT and Pc Support Services. I have never heard of Deepnet Explorer, until an article on. These bills themselves as "the world's first online + P2P + of the browser." P2P technology is part of the Gnutella "to share and download files, browse the Web. Access to the files of millions of other users in the Gnutella network." Deepnet Explorer allows the compilation and display of all The latest news on a screen. " They also report to the police fraud. "It's working principle is to use a blacklist of known phishing sites and by analyzing the URL and Web site." It only applies to Windows, it uses the Internet Explorer's rendering engine. This does not mean that it will be vulnerable to any security vulnerabilities of the engine. The Deepnet Explorer to protect users from such attacks a blacklist of known phishing sites and analysis of Web addresses and Web site. Phishing schemes typically combine spam e-mail and web pages look like legitimate e-commerce sites to steal sensitive information such as usernames, passwords and credit card number. Manufacturers claim that their browser Deepnet Explorer is "more secure" than IE or Firefox, as "phishing alarm" and other security features, such as the "content control" function, allowing users to block ActiveX controls and other potential security hidden. In addition, according to Deepnet most of the IE browser's security problems and the impact of the application of Shell, rather than rendering engine, also used in Deepnet Explorer. The Deepnet Explorer is a very useful and powerful P2P networks, news aggregators, and Web browser.Quickly browse the Web, share and download files of Gnutella P2P network, and read out at the same time the source of the latest news of your favorite. Deepnet Explorer is the one-stop solution to save you time and system resources. The Deepnet Explorer's tabbed browsing interface, you can open multiple pages at once, so you can click on a label from a different point of view next to the page quickly and easily. To save time, the background to open multiple web pages, and you finish your current page. In order to enhance convenience, the Deepnet Explorer can open multiple web pages, start firing. Automatically display your favorite sites without lifting a finger. 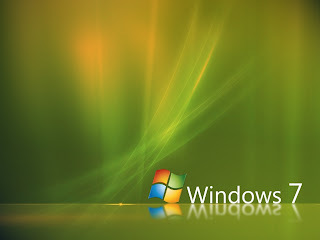 P2P technology, clients need more computing resources to run, and may lead to performance degradation due to connect the Windows XP/SP2 restrictions, Microsoft has introduced Windows XP/SP2. For those who do not use file-sharing, the standard version of the proposed. 100 percent compatible with Internet Explorer but is much safer. The aims of the essay DEEPNET Explorer browser by the British company's DEEPNET Technologies. The browser uses the HTML rendering engine of Internet Explorer and has some interesting additional features. DEEPNET Explorer is one of the most secure Web browser. "With this award stems from the British company DEEPNET Technologies advertising drum for his essay free browser for Internet Explorer. DEEPNET The Explorer is based on Microsoft's Internet Explorer. However, the developers insist that only the HTML rendering engine of Internet Explorer is used. "Most of the vulnerabilities affect IE application and not the HTML engine," says the company. This was also the "DEEPNET Explorer more secure than Internet Explorer. Even before the "hijackers" - spyware and adware attacks should the browser be sure because "DEEPNET Explorer" is not the IE Browser Helper Objects (BHO) for use as a special feature was also a mechanism in the browser essay integrated always be alert, if the user on a purely PhishinGoogle-mail is like a fake website and call. In addition, this mechanism also takes on a blacklist, where the well-known phishing pages are stored. The pop-up blocker will prevent a user from advertising windows pop noise. In addition, eliminates the browser, but also increasingly coming to use flash advertising. "As pop-up blocker increasingly enforce Flash advertising is widespread and increasingly disturbing," says the chief DEEPNET Yurong Lin. Among the other security features include the "Page Control" function, which, for example, the ActiveX Controls may be disabled. In addition, the browser also allows a better control over the computer stored in the cookies. Among the "feel good" functions of the DEEPNET Explorer, according to the developers 100 percent compatible with Internet Explorer, includes an integrated RSS reader and the possibility of the exchange files on the Gnutella P2P network. Tabbed browsing, the browser as well as Mouse Gestures, Auto Fill Form, Multi Start Page and one in the address bar integrated search. The "phishing alarm" and the "Cookie Manager" are two of the innovations of the newly released version 1.3. The download of the free browser is 2.7 megabytes. Deepnet Explorer - a browser based on IE, but with enhanced protection against phishing. Deepnet analyzes Web addresses and content of web sites and verify the data with the existing (black list). Users have the ability to block scripting ActiveX, as well as pop-ups and scripts on web pages. Deepnet Explorer contains a patch for multiple vulnerabilities, including Iframe, typical for Internet Explorer. According to the developers, the new version of Deepnet provide more security than IE and Firefox. Deepnet Explorer, the world's first browser with RSS news reader, P2P client integration and phishing alarm. The browser's superior security, functionality and usability, still makes Deepnet stand out from the crowd. Switch now to experience browsing like never before. Installing Deepnet Explorer takes only a few minutes. During setup, the browser automatically imported our cookies, settings, and favorites from Internet Explorer. The integrated search window enabled us to search multiple engines, including Google, XSPN, Yahoo Search, and MSN Search. Overall, the Deepnet interface is very similar to Internet Explorer's, with the biggest difference being the ability to open multiple tabbed Web pages within the browser. Tabbed browsing is already a popular feature within Firefox, Opera, and Netscape. The fact is that the newcomer to the wonderful world Internet browsers is innovative, smart and secure, even if it does nothing revolutionary and he himself admitted having an interface can be similar to the browsers you had known before. "The main strike force: the inclusion of a Peer to Peer client for sharing files on your computer and download on the computer of others. It is why the Gnutella network, thus enjoying all the files that already passing. It also offers a navigation system tab became mandatory in the CV of any browser worth its name today as well as protection against phishing and spam. Another interesting feature is the recognition of certain actions of the mouse to open or close a tab, refresh the page or move to the next or previous tab. Finally, it is complete, including an RSS reader and promises to be fully compatible with Internet Explorer favorites. This web browser integrates a P2P file-sharing client and an RSS / ATOM Reader. It offers features such as tabbed browsing, pops-up blocker, auto-login and a lot of security, although it is based on the Internet Explorer engine builds. A behavior test analyzes more than 100 elements of a Web page: page URLs, content, images, links, and History. DEEPNET Explorer is powerful and not only offers a lot of useful features, but also a degree of security shaken. A real alternative browser! Microsoft Internet Explorer 5.0 or higher.